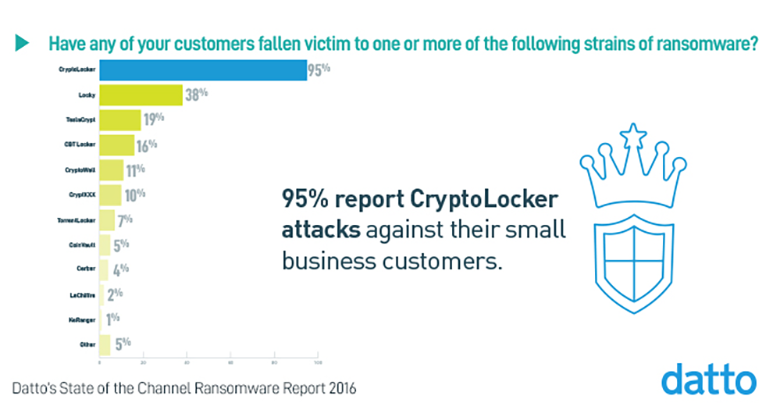 Like many of the leading ransomware strains today, CryptoLocker is constantly being adapted to avoid detection. In fact, 93 percent of IT service providers report ransomware infiltrating anti-virus and anti-malware software in the past 12 months and 77 percent report it infiltrating email and Spam filters. So, let’s say the worst has happened and you are staring CryptoLocker on the screen. To recover, you must be able to restore your data to a point-in-time that is before the attack occurred. Use a ransomware removal tool to be sure your systems are clean before restoring data. For more information about CryptoLocker, including how to protect your business data and how to remove CryptoLocker, download our new eBook: The Guide To CryptoLocker Protection And Removal.